For those who follow on me Instagram, you’ll have seen that recently I’ve found myself a beloved new hairdressers: Pierre Alexandre in Manchester. I recently visited to get rid of my warm balayage at the roots, and I’ll be going back to begin a brighter blonde journey with my stylist. Cleaner, brighter blonde will be mine! You can find my full review here, but what today’s blog post is about is my other ventures I’ve decided to take on at Pierre Alexandre. You see, they are an all-round hair and beauty destination, covering a range of aesthetics as well as hair needs. I’ve decided to spend the Autumn/Winter months (which have pretty much arrived now!) getting my body and my skin in the best condition ever, so that by the time Summer 2019 comes around, I’ll be super happy with everything. I’ve started with a series of Soprano Ice Platinum Laser Hair Removal – the most advanced hair removal solution available in the industry. 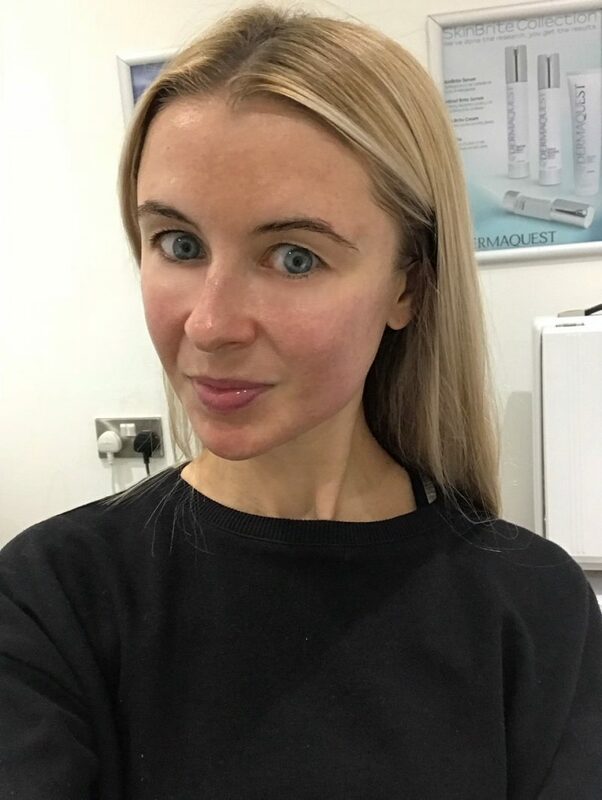 I’ve currently had my patch test and first treatment, using the solid-state laser. I’ve opted for my underarms, because isn’t shaving your under arms like the worst task ever?! So far, the treatment has felt super quick and pain-free, but I’ll put a dedicated blog post up alllllll about it soon. What is Clearlift Laser Treatment? The ClearLift facial is more of a ‘Laser Facelift’, and is a new one to me. It’s basically a procedure that plumps, firms the skin and reduces pigmentation. 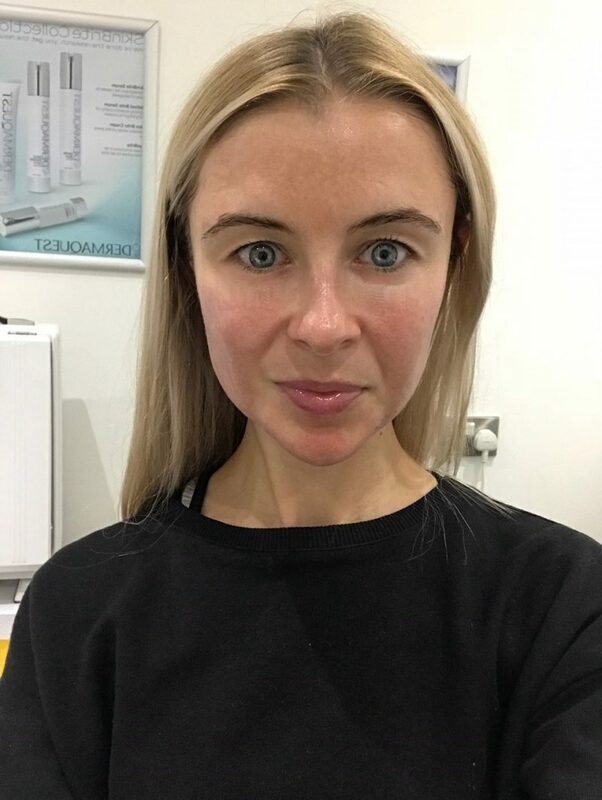 The treatment can be used anywhere on the face, neck, décolletage, hands and body, and they also say it is an excellent treatment to treat puffy eyes and dark circles. 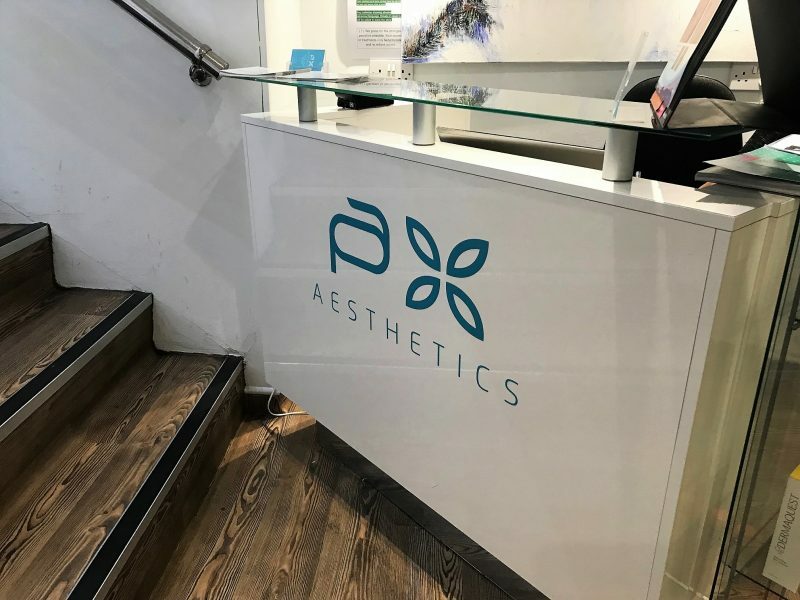 In a nutshell, the treatment is painless and suitable for all skin types, and it works by using a laser which emits powerful bursts of light, that go as deep as 3mm into the skin. This delivers extreme heat in the deeper layers of the skin, and so results in a ‘controlled’ wound leaving the outer layer of the skin unaffected. As the wound heals, new collagen is produced and unwanted pigmentation is broken down. This is why it’s also great for scarring, and ageing skin. One of the best things about it thought is that treatment takes just 20 minutes and there is NO downtime and NO redness. How did I find the Clearlift Laser Treatment? 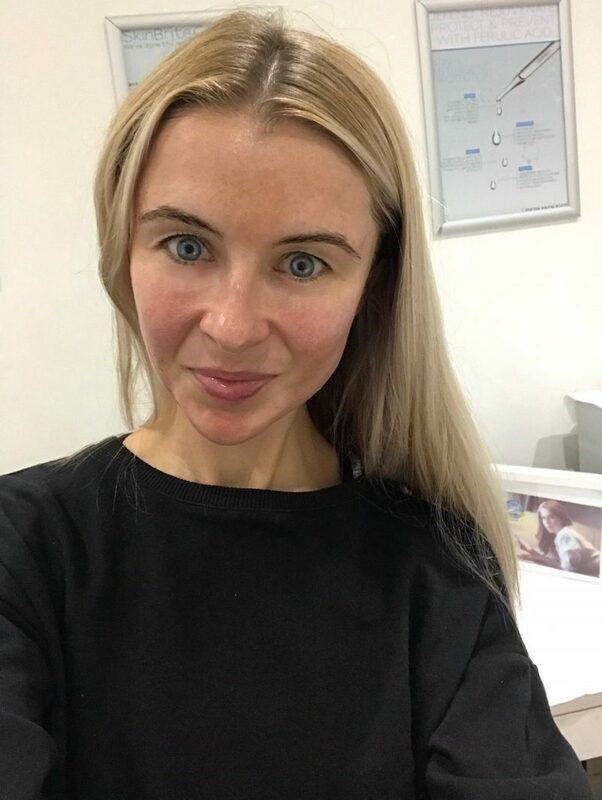 The photos above were taken immediately after my first Clearlift Treatment, and as you can also see – no redness or irritation either. I even went for dinner with a few friends in the Northern Quarter straight after. The only thing I really felt was a warm, prickly sensation on my skin, and a slight burning smell, which is of course what you would expect when lasers are involved. But as soon as the treatment was over, I just felt, well… normal! No heated cheeks or a red, blushed complexion. Just a fresh, glowing look. 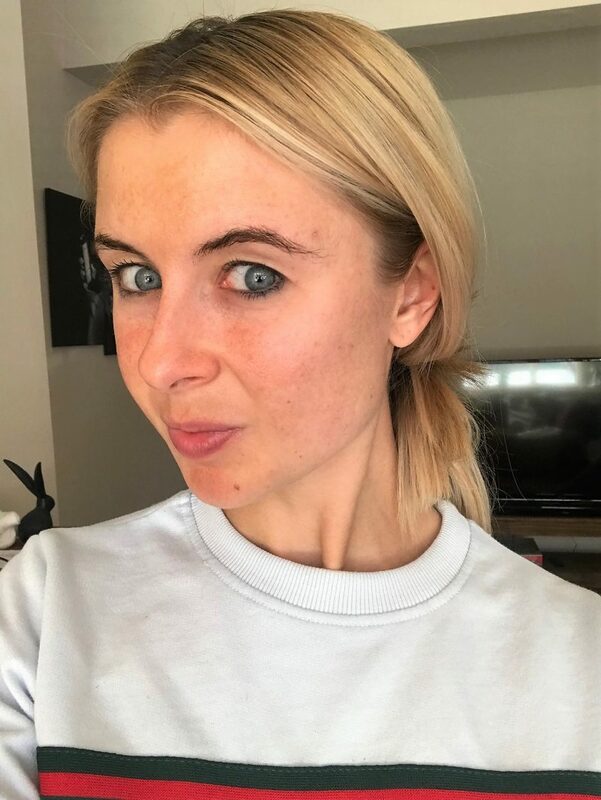 The photos I’ve popped on the blog here (the one above and the two below) were taken the day after my first Clearlift treatment, and I’ll now be referring back to these when I want to see how far my skin develops after a course. 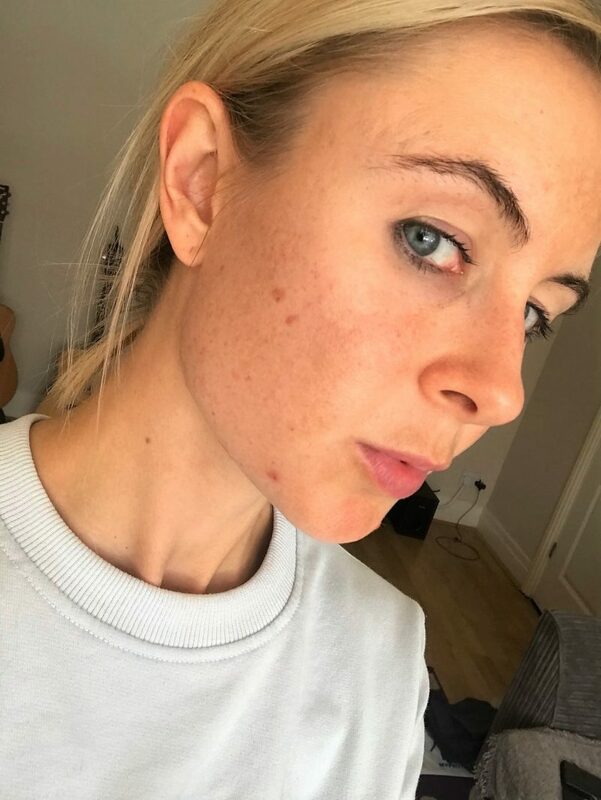 I can’t wait to see my sun damage pigmentation breaking down, and hopefully – which is a big ask – the red marks and scarring left from previous acne breakouts. 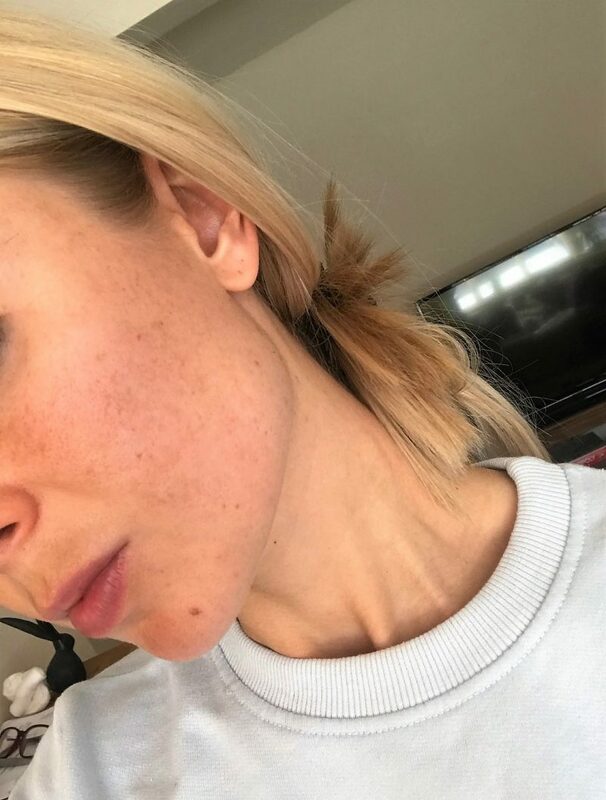 You see with the photo above, they aren’t actual spots – they are marks left from spots. But my healing time just seems to take so long, that even without makeup on I look like I have the worlds worst acne. But if you ran your hands over it, it isn’t quite as bumpy as it looks.